Eight recently renovated, exquisitely furnished luxury rental apartments. In two key respects, Haus Ruetz is an important spot. 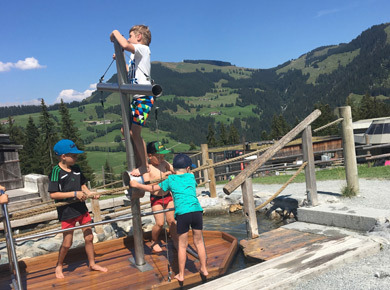 Right in the centre of the charming alpine village of Westendorf in the Austrian Tirol, our Sports, Fashion and Skihire shop occupies the ground floor whilst our modern, self-catering luxury apartments reside above and alongside. Our location is ideal in summer or winter being next door to lifts, restaurants, supermarkets, bars, parking and frequent public transport. In short, you can’t be more centrally located than here. The holiday-let apartments offer stylish furniture with modern self-catering amenities with free Wi-Fi throughout the properties. 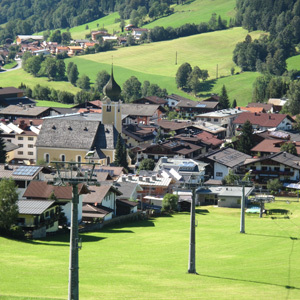 In summer the mountain lifts are within 5 minutes walk from our luxuary apartments. Restaurants, pubs, bars, shops, local and regional transport are within easy reach. The tourist office with very helpful staff is adjacent. And English is the second language in the region. Don’t take our word for it, give us a call now. Our staff are in-house and will be glad to help you during your stay. Family Ruetz and staff look forward to your visit! 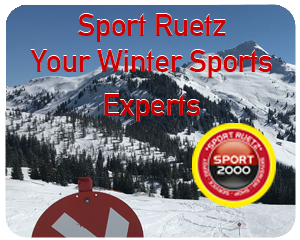 If you want to go skiing, snowboarding or cross-country skiing, you are in the right place at Sport 2000 Ruetz. 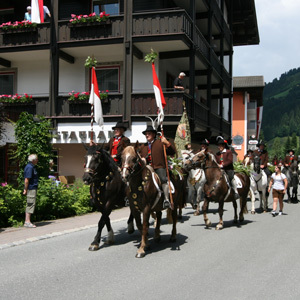 Let us advise you and make your holiday in Westendorf an unforgettable, sporting experience. Our extensive range of classic skis, snowboards and fun tools are available for purchase and hire. In addition, our team provides you with the necessary accessories and adapts sports equipment to your individual needs. 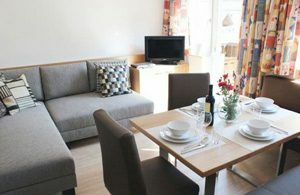 Please click on the Apartments links above to view images of the various self-catering apartments. If you have any questions, please contact us via email or call us by phone. English is spoken by all our staff.